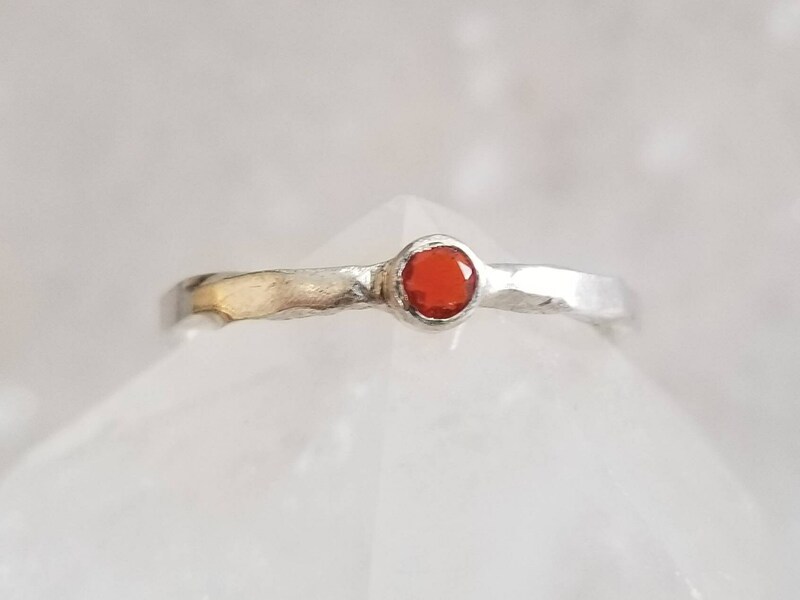 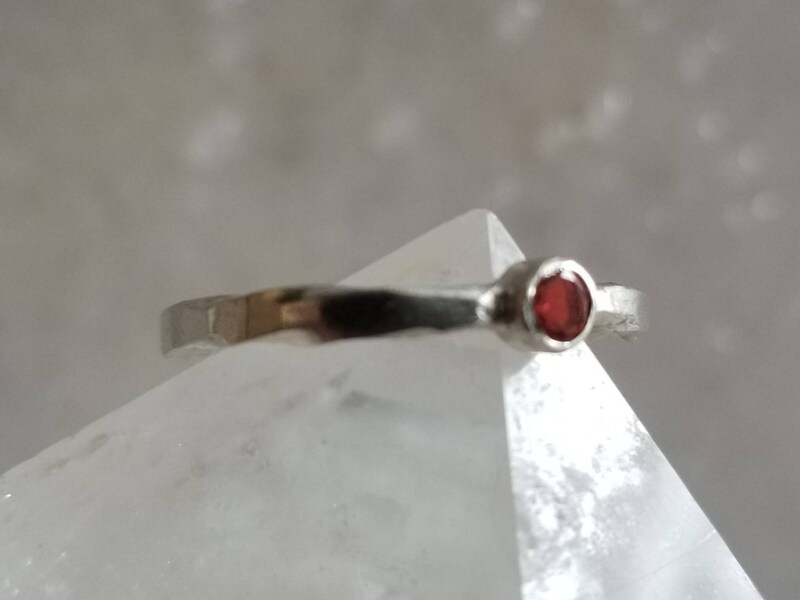 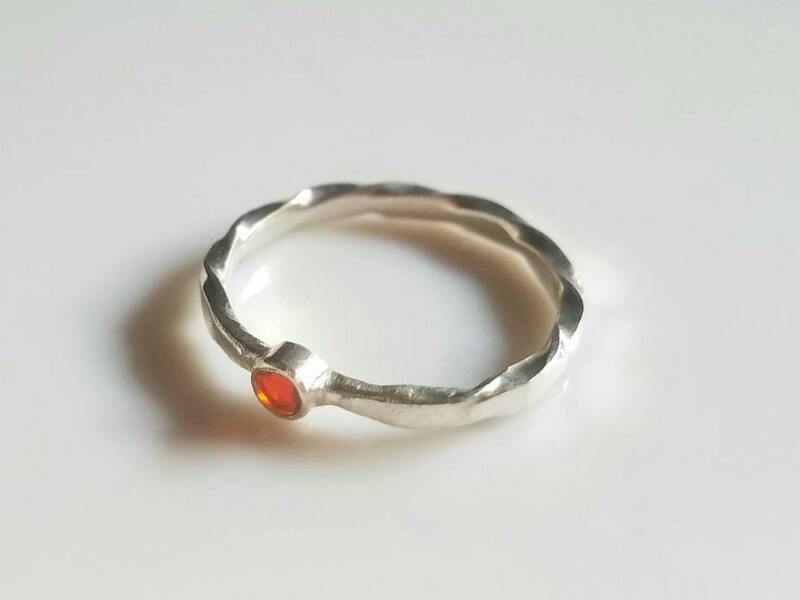 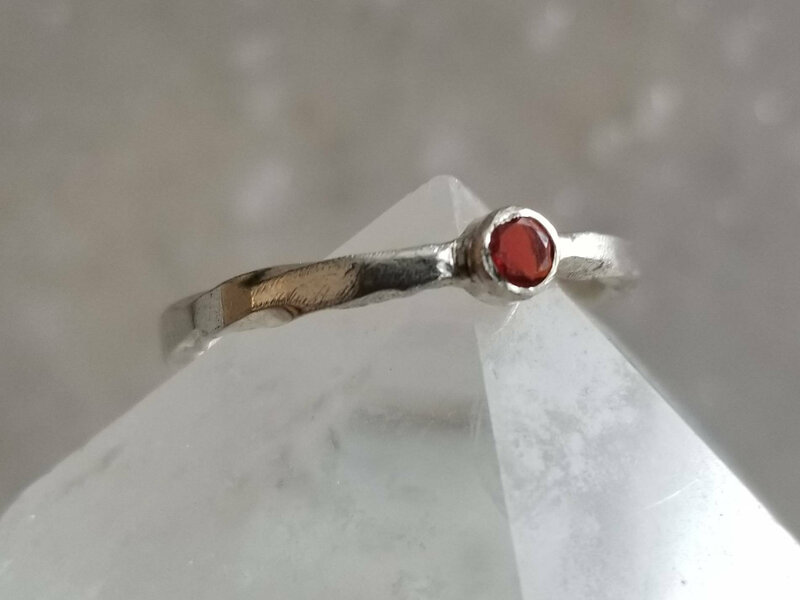 This ring was hand forged, hammered and polished, and tube set with an cheerful, faceted 3mm fire opal. 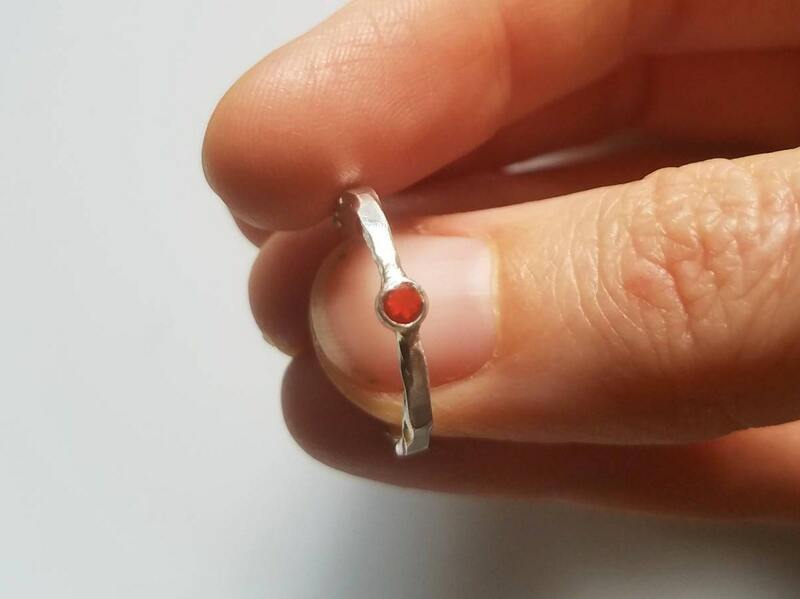 The stone sits on a flat band that is 2.5mm wide. 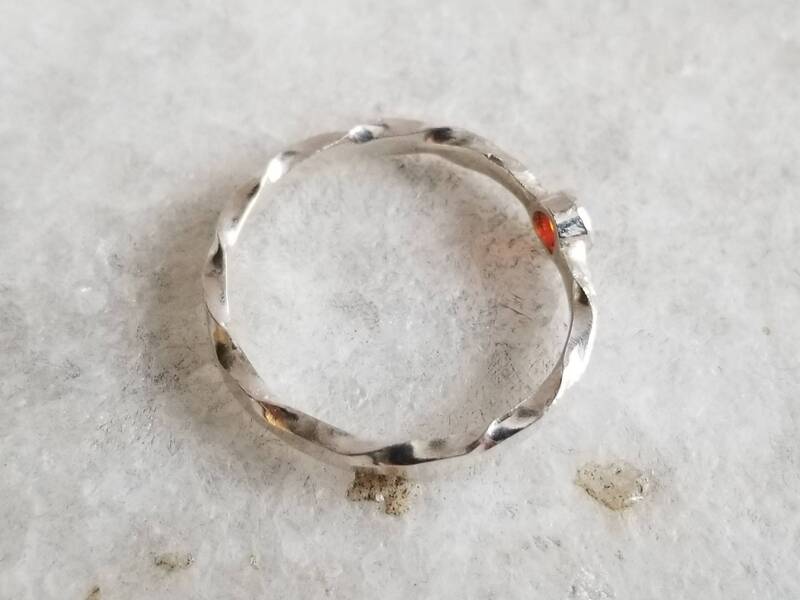 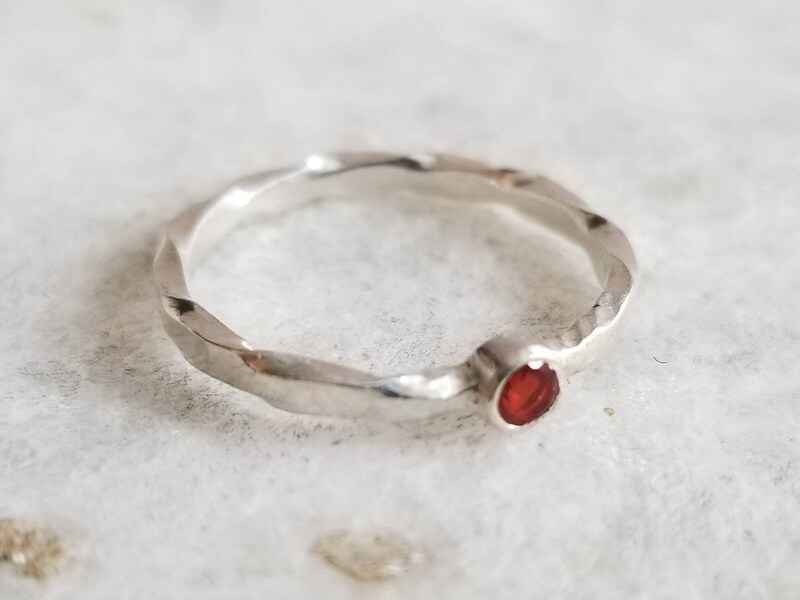 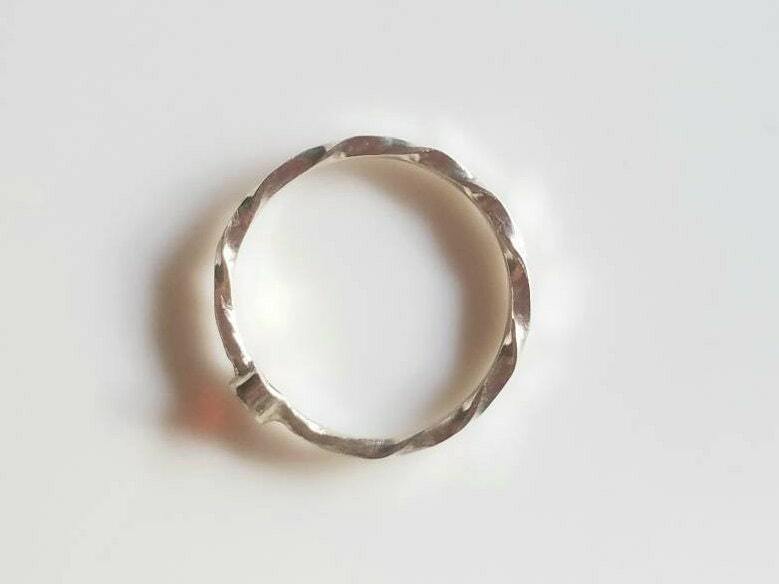 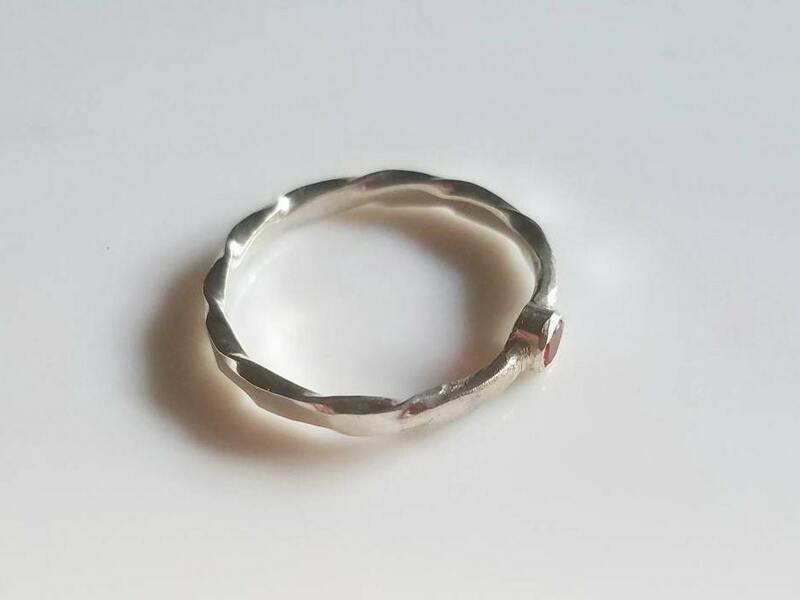 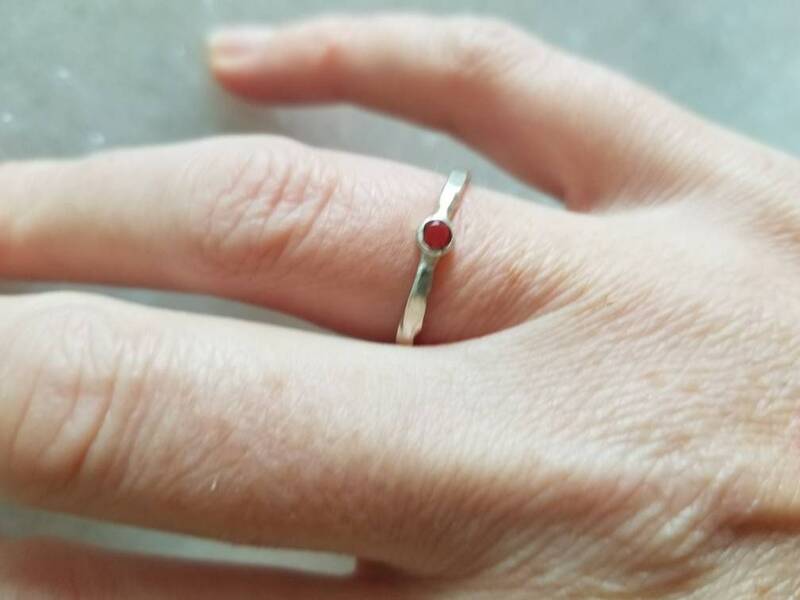 It is a fun ring to wear alone or in a stack.